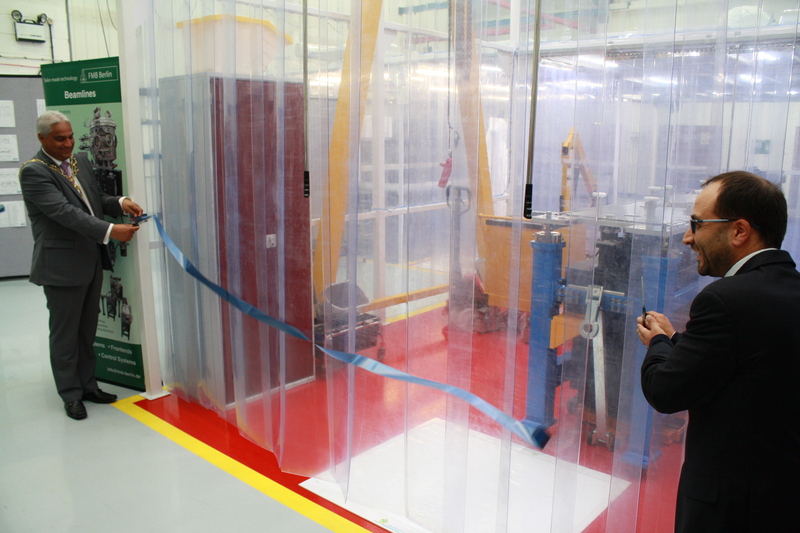 On Monday 11th July 2016 we were joined by European XFEL customers Dr. Adrian Mancuso, Dr.Richard Bean, Nadja Reimers and Luis López Morillo for the official opening of our new cleanroom facility. Along side them was the Lord Mayor of Oxford, who attended as special guest to participate in the proceedings. 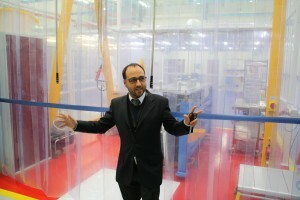 The cleanroom was rebuilt and extended specifically as a result of FMB Oxford being awarded high value contracts by the European XFEL, which required the instruments be built in an ISO6 particle free cleanroom with continuous monitoring of particulate levels. With this in mind, it seemed fitting that Adrian, Leading Scientist (SPB), was invited to cut the ribbon along with the Lord Mayor. 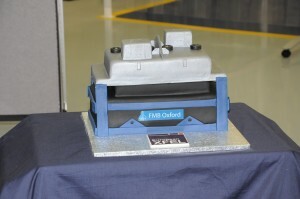 We were even able to celebrate the occasion with a slice of cake; a work of art made into a mirror system! This marks the end of months of upheaval and hard work as the expansion into Unit 4, and subsequent factory improvement, is now complete. 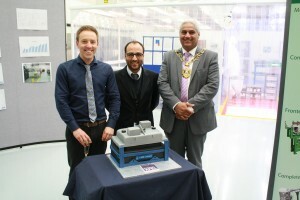 The guests; Richard Bean, Adrian Mancuso and The Lord Mayor of Oxford The cake! !